﻿Clockmakers Newsletter began publishing a monthly newsletter in 1987, which ran for 256 issues. In addition, author/editor Steven G. Conover has written and published 17 books on clock repair and clockmaking, with more titles to be published soon. This book presents repair procedures for clocks made by three of the major U.S. firms working in the late 19th and early 20th centuries. Clock movement repairs to the products of three more U.S. manufacturers are described and illustrated. 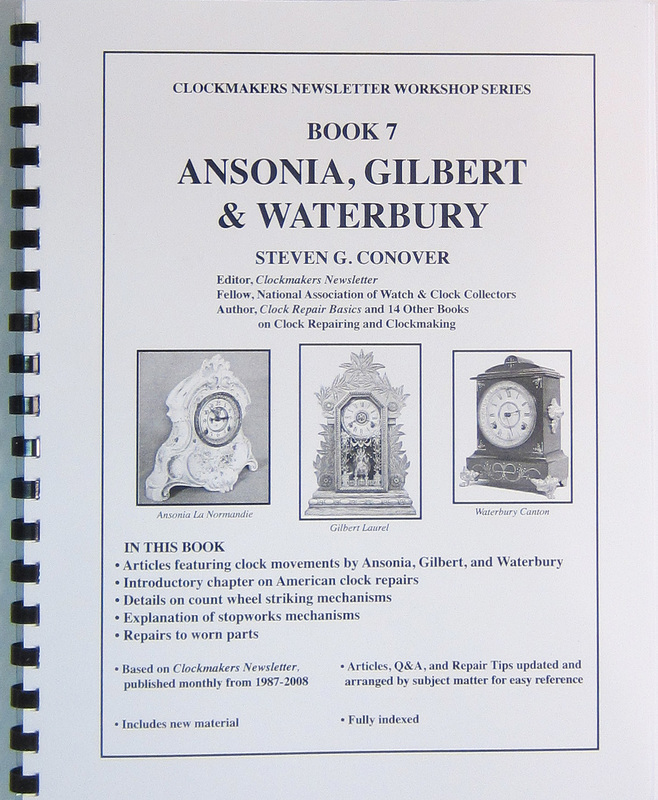 We have just published Book 7 Ansonia, Gilbert & Waterbury and Book 8 Ingraham, New Haven & Sessions, the newest books in the Clockmakers Newsletter Workshop Series. Along with Book 6 Seth Thomas, they add up to a total of 448 pages on American clocks! And there is even more coverage of American clock topics within the other books in the series. 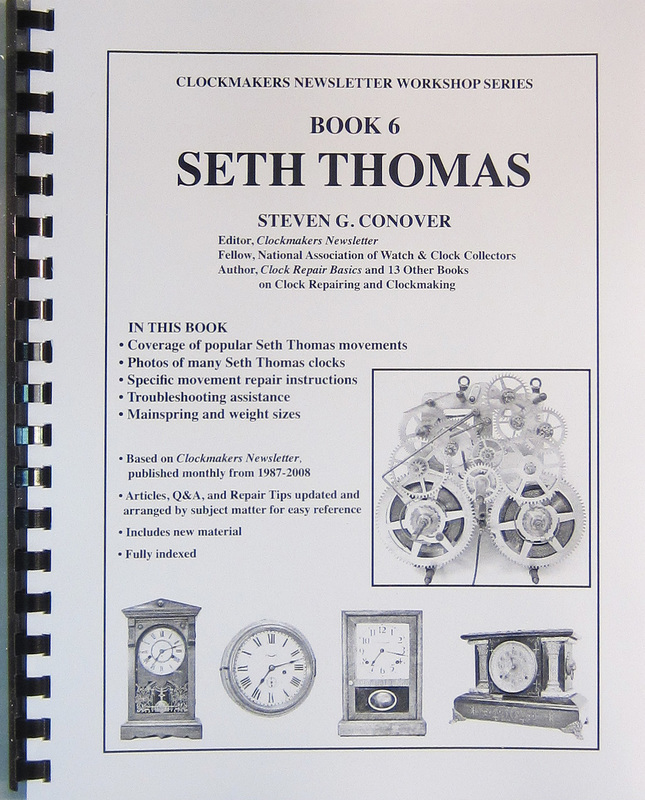 Contact me at editor@clockmakersnewsletter.com with any questions about the books offered in our web store. I am also happy to help with clock repair questions.